Celgene's ($CELG) Abraxane can't catch a break in England. Soon after losing coverage for pancreatic cancer on the country's dedicated Cancer Drugs Fund, the treatment got another thumbs-down from its official cost-effectiveness watchdogs. 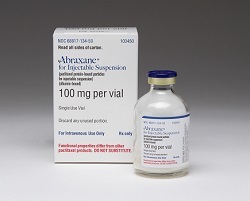 The National Institute for Health and Care Excellence said Abraxane (nab-paclitaxel) was effective in the disease in combination with Eli Lilly & Co.'s ($LLY) chemotherapy drug Gemzar (gemcitabine). 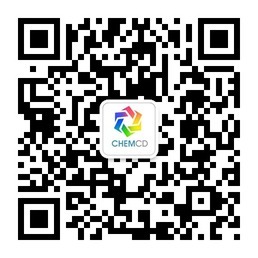 But the dual treatment came with serious side effects,NICE said--and was no more effective than a currently approved cocktail of Gemzar plus Roche's ($RHHBY) chemo drugXeloda (capecitabine). Abraxane also happens to be more costly, too, the agency said in a statement about the decision, even when considered in light of the agency's looser requirements for meds treating terminal illnesses. Celgene had appealed a previous rejection at NICE. "Although [Abraxane] is more effective than one of the treatment options currently available, it is linked with more side effects," NICE chief Andrew Dillon said in a statement. "When considering the impact of side effects on a patient's quality of life and the fact that it is also more expensive, nab-paclitaxel cannot be considered an effective use of NHS resources." The final draft guidance is now open for comment, and some patient groups and cancer charities are up in arms. Because treatment options for pancreatic cancerare so limited, NICE and other payers should assess the meds differently, they say. As The Telegraph points out, clinical trials showed that Abraxane plus Gemzar could extend patients' lives by a median of two months, compared with Gemzar alone. "We are very disappointed that not only has Abraxane® in combination with gemcitabine been removed from the Cancer Drugs Fund, but now NICE is denying patients access to it on the NHS in England," said Ali Stunt, Founder and CEO of Pancreatic Cancer Action, said (as quoted by The Telegraph). The two-drug cocktail "is becoming standard of care for metastatic pancreatic cancer across the Western world and we are very saddened that English patients will not have any access to it via the NHS." The final draft guidance is now open for comment, and some patient groups and cancer charities are up in arms. Because treatment options for pancreatic cancer are so limited, NICE and other payers should assess the meds differently, they say. "We are very disappointed that not only has Abraxane? in combination with gemcitabine been removed from the Cancer Drugs Fund, but now NICE is denying patients access to it on the NHS in England," said Ali Stunt, Founder and CEO of Pancreatic Cancer Action, said (as quoted by The Telegraph). The two-drug cocktail "is becoming standard of care for metastatic pancreatic cancer across the Western world and we are very saddened that English patients will not have any access to it via the NHS." 2014/08/08 - Health Canada has approved PrABRAXANE for Injectable Suspension for first-line treatment of adult patients with metastatic pancreatic cancer. The approval is welcome news for Canadians who are diagnosed with metastatic pancreatic cancer, and represents the first approved treatment for this disease in nearly two decades. 2014/08/22 - Bristol-Myers Squibb ($BMY) and Celgene ($CELG) are joining forces on a cancer combination treatment, testing the former's highly anticipated immunotherapy in tandem with an on-the-market chemo drug against a host of tumor targets.